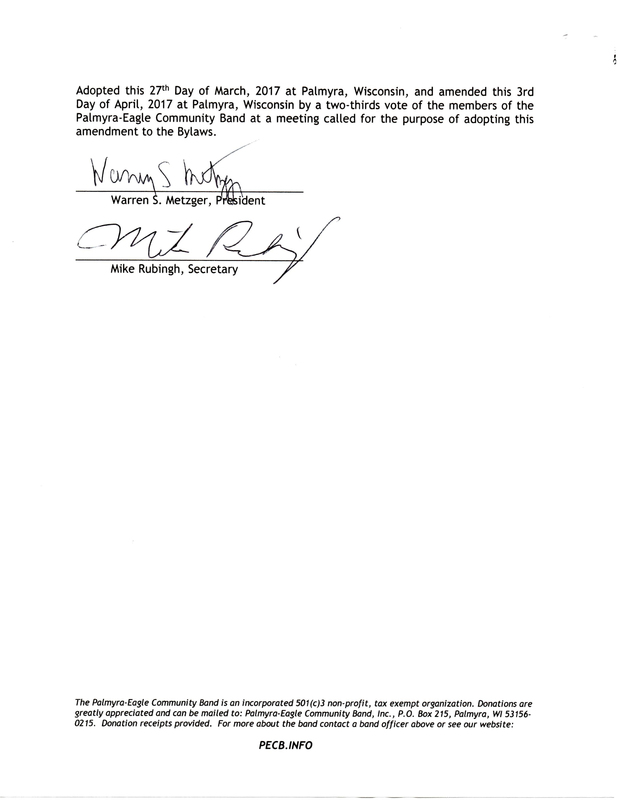 The Palmyra-Eagle Community Band, Inc. was incorporated in 2007 as a Wisconsin Nonstock, Nonprofit Corporation. This Corporation is organized and operated exclusively for exempt purposes within the meaning of Section 501(c)(3) of the Internal Revenue Code, as amended including the following purposes: Educational and to promote the appreciation and support of concert band music. The original bylaws, and any amendments, are shown below. 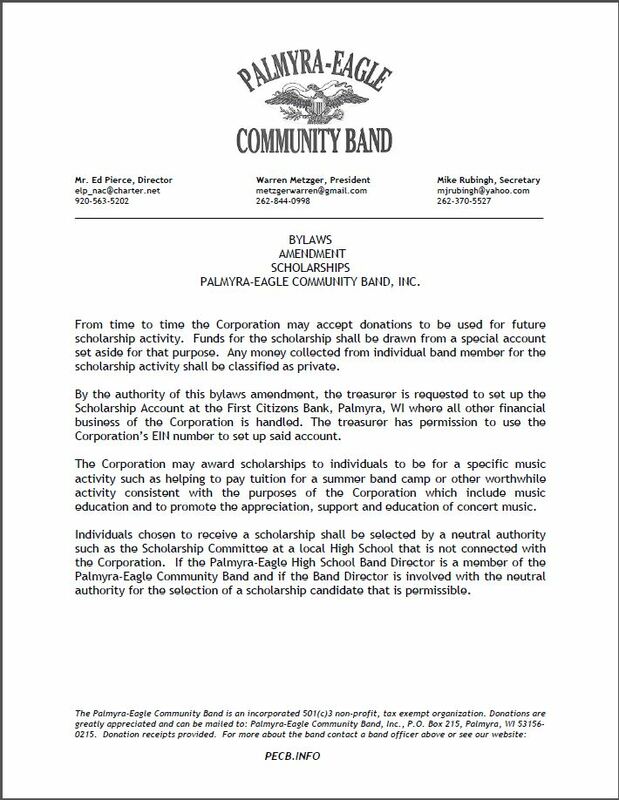 © Copyright 2019 - Palmyra-Eagle Community Band, Inc.